This week I had lunch with a counsellor, an independent IFA, an accountant, a mortgage advisor and a family mediator. As we talked, it struck me that lots of people who get divorced, and who are working out their financial settlement, feel that they are alone. But actually, in professional terms, that is in fact very far from true. There is a whole industry, apart from family lawyers themselves, who are there to help couples who are divorcing - and many at very affordable rates. I really do think it is very important that anyone going through a divorce thinks about going to a good counsellor. The break up of a marriage is one of the most stressful life experiences that you will have, so why try to deal with the emotional trauma without help? There is no stigma attached anymore and a vast number of my clients, ranging from city bankers to housewives, have benefited hugely from good quality counselling. 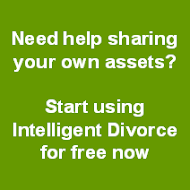 Do you need an IFA if you are divorcing? Certainly you do if you plan to share a pension: IFAs are essential if a pension sharing order is made as part of your financial settlement, as you will need their help in deciding into which fund to put any pension credit received. Further, if you already have an IFA they can be very useful in providing help with the disclosure process (listing and agreeing what you both have) and in doing so save you significant time and effort. 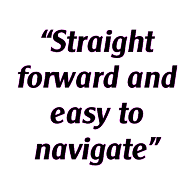 After your divorce and finances have been settled an IFA can prove invaluable in helping you invest the assets you are left with, and to plan for what will be a new future. What about an accountant – surely they aren’t involved too? Well, they are if there are businesses which need to be valued or tax issues that need clarifying. You would be surprised the amount of times I work with accountants to establish the value of assets or the extent of tax liabilities. A mortgage advisor too? For many a definite, especially when lending is so hard to come by these days. Mortgage advisors can also be useful during the period when you are negotiating your financial settlement, as it is often essential to obtain an estimate of your mortgage capacity to work out where, and in what type of accommodation, you might be able to live post-divorce. After your finances have been resolved, mortgage advisors can help you secure that much needed mortgage necessary so you can re-house. Why do you need a mediator? It is important to be clear that a mediator is not there to fix your relationship. Their rôle is to help you and your ex come to an agreement on finances and children. The good ones can save you thousands in legal fees if you are willing to try to sort things out amicably. (Though not as much as Intelligent Divorce!) Having said that Intelligent Divorce does refer the few on its co-operative route who have not been able to resolve their issues using the site to a local accredited mediator, as we do think that is the best way to reach agreement if our process has not been enough on its own. And then the lawyer – always a distress purchase but vital in many instances. A decent divorce lawyer will guide you through your divorce with skill, empathy and sound advice. Use them if you need to. There are other posts on this blog showing you how to get the best out of your divorce lawyer, here and here. The next question you should be asking yourself is ‘How do I find the good IFAs, counsellors etc?’. If you have already got a divorce lawyer then I think you should ask them first. Most good lawyers will have a stable of other trusted professionals to whom they send their clients. How do you find a good lawyer … I’ve covered that before too here. Alternatively, if you already have (any of) an IFA, an accountant, a counsellor or a mortgage advisor ask them who they would recommend as they too will have links with other professionals who will be able to help.